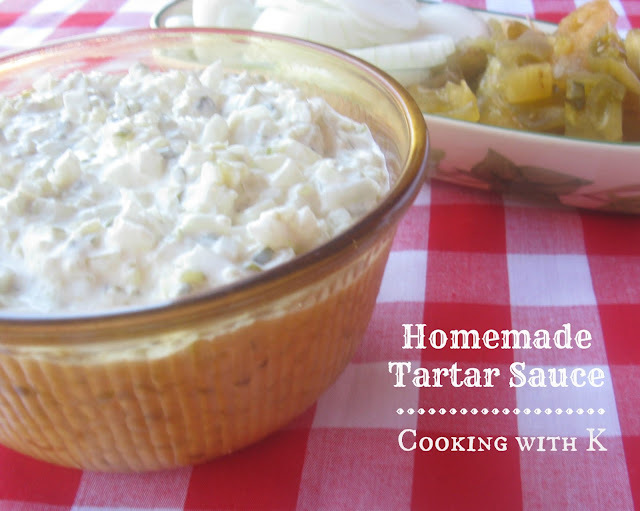 Homemade Tartar Sauce, ridiculously easy dipping sauce to make and eat with Southern Fried Catfish, Salmon, and most any seafood. It uses ingredients that are already in your kitchen. There is a restaurant close to us that serves the best catfish, but what they serve before you ever get the catfish is a favorite. They bring out these little bowls of sliced onions, green tomato relish, and coleslaw with baskets of hush puppies. We sit there and eat until they bring the fish out. By then I am stuffed. 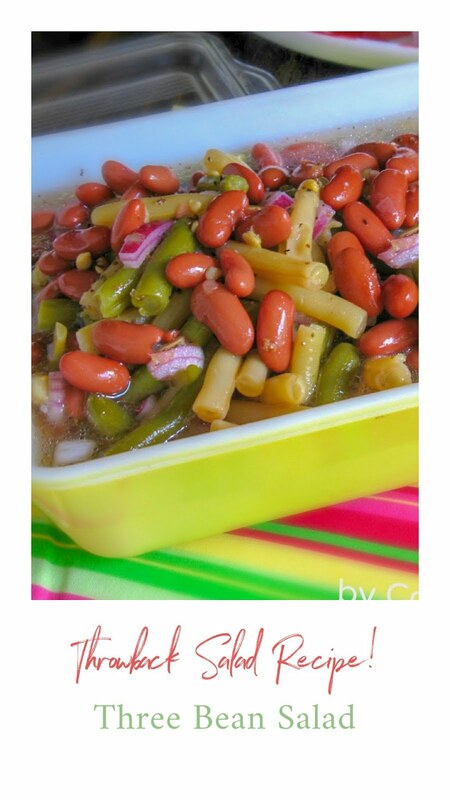 This recipe comes from my Mother. 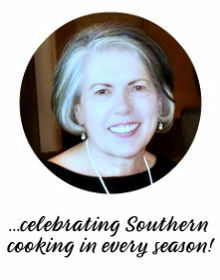 She made Homemade Tartar Sauce not just for when we were eating catfish, but also for the times she made her Salmon Croquettes. 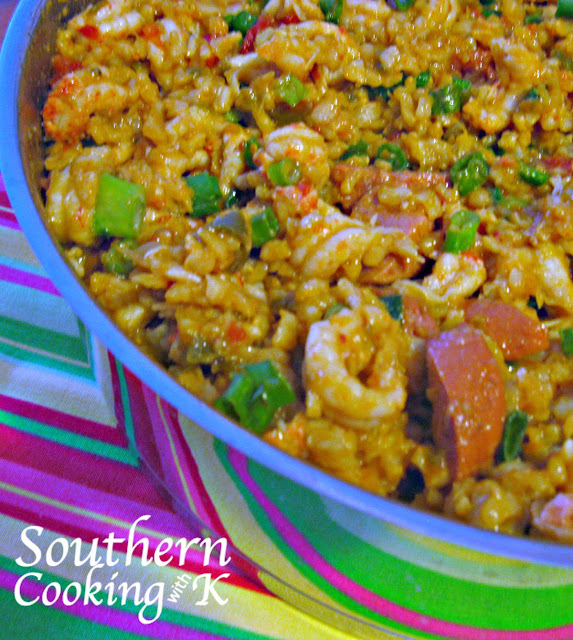 The recipe is easy with few ingredient and one that you cannot go wrong with. It is more about the ratio of the onions and pickle relish. We like ours on the oniony side rather than on the pickley side. Mixing it up is the same. One thing I do today that my Mother didn't do is to pat dry the onions after they have been chopped. I also drain the pickle relish for the same reason. This helps the tartar sauce from being too soupy. This way the creaminess will come from the mayonnaise. 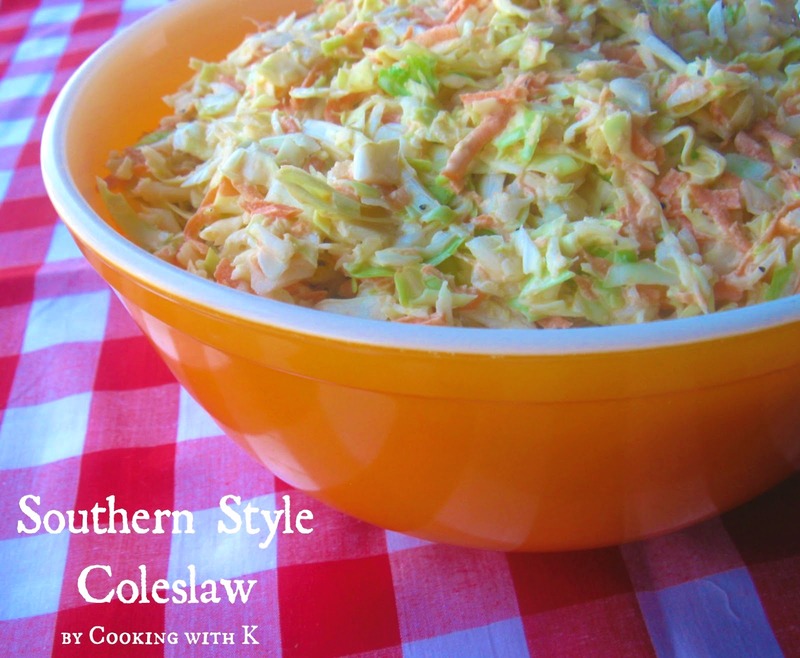 Again Mother used Miracle Whip, and we use Mayonnaise now, but you can use what you prefer, and it will be great. I have had it both ways, and I like both of them. Just remember the ratio of the onions to the pickle relish is up to you. On another note, any leftovers make good tuna salad. Hope you make some for your next fish fry. Enjoy! In a medium bowl, mix all the above ingredients together until well mixed. Refrigerate until time to serve. Note: You can use dill or sweet relish. We prefer dill. 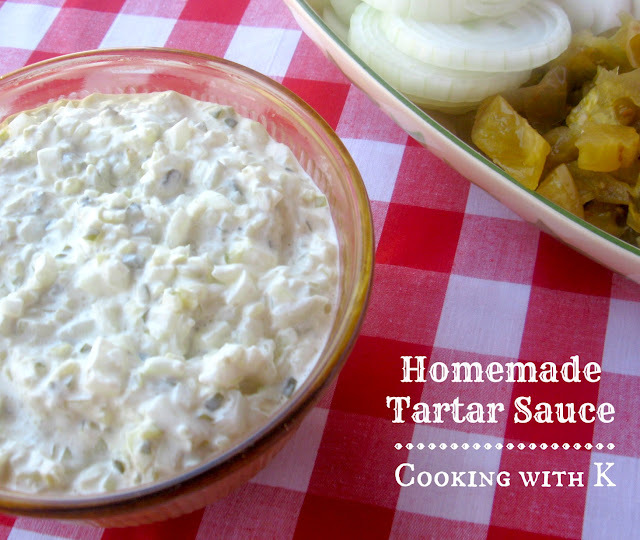 We like a lot of onion in our tartar sauce, but you can use one onion if you prefer. I find that the flatter/thinner onion in shape is sweeter in taste. I am a lazy cook and have always just added dried onions but perhaps I will push myself and try this. Do you ever store it or do you just make enough for each meal? Hush puppies...sounds like another temptation that I would love. 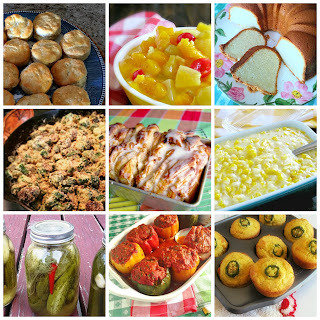 Isn't the blog world great for finding recipes? ..I was also thinking that using a shallot will give a milder flavor ( as opposed to an onion ) for those that would like a milder taste .